Have you been searching for a midsize sedan to use on a regular basis near Gadsden, AL? If so, visit Tameron Honda in Gadsden, AL. At our dealership, we house a vast array of Hondas in stock including a great selection of Pre-Owned Honda Accords for motorists to explore. Tameron Honda Gadsden has proudly served Jacksonville, Oxford, Anniston, and Lake Guntersville, AL for a number of years as one of the state’s premier Honda dealerships. Visit our dealership today and discover a used Accord. When it comes to getting into a vehicle that will give you the confidence to use the vehicle on a regular basis, nothing is the same as a Certified Pre-Owned Accord. Every Certified Pre-Owned Honda is less than six model years old and has less than 85,000-miles on it. Before the vehicle goes on sale, our accredited technicians will perform a 150-point inspection and replace any components with authentic Honda parts if necessary. 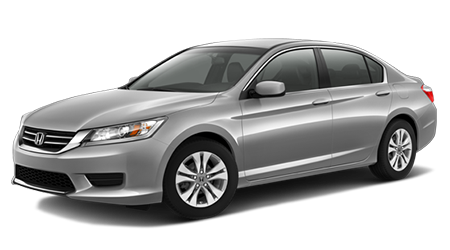 Every Accord also comes with a clean title and a CARFAX Report too. Unlike other used vehicles on the market today, a Certified Pre-Owned Accord comes with an extended warranty. Every Accord is backed by a 7-yr./100,000-mile powertrain limited warranty and a Certified Used Car Limited Warranty that lasts for 12-months/12,000-miles if the New Car Warranty is still in effect. For even more coverage, drivers can opt for an optional Honda Care Certified Additional Coverage that extends the vehicle’s powertrain warranty to 8-yr./120,000-miles. At Tameron Honda Gadsden, we’ve made getting into a used Accord easier than ever. To get you an amazing rate on a vehicle, our dealership has an outstanding finance team. Our finance team is acknowledged for their ability to work with drivers’ credit scores to ensure that they receive a superb rate. As one of the state’s top-ranked Honda dealerships, you’ll be able to get into a pre-owned Accord that works for you today. A Used Honda Accord has the same interior features, usability and driving characteristics of a new model, but is at a much more affordable price. With Honda’s Pre-Owned Program, you can get into a pre-owned Accord today close to Jacksonville, Oxford, Anniston, and Lake Guntersville, AL. Stop by Tameron Honda Gadsden and test drive a used Accord.